The company has filed an application on with the Pennsylvania Department of Transportation to test in Pittsburgh, and it has issued a lengthy safety report pledging to put two human backup drivers in each vehicle and take a raft of other precautions to make the vehicles safe. Company officials acknowledge they have a long way to go to regain public trust after the March 18 crash in Tempe, Arizona, that killed Elaine Herzberg, 49, as she crossed a darkened road outside the lines of a crosswalk. Police said Uber's backup driver in the autonomous Volvo SUV was streaming the television show "The Voice" on her phone and looking downward before the crash. The National Transportation Safety Board said the autonomous driving system on the Volvo spotted Herzberg about six seconds before hitting her, but did not stop because the system used to automatically apply brakes in potentially dangerous situations had been disabled. A Volvo emergency braking system also had been turned off. "Our goal is to really work to regain that trust and to work to help move the entire industry forward," Noah Zych, Uber's head of system safety for self-driving cars, said in an interview. "We think the right thing to do is to be open and transparent about the things that we are doing." Among the other precautions, San Francisco-based Uber will keep the autonomous vehicle system engaged at all times and activating the Volvo's automatic emergency braking system as a backup. In addition, Uber is requiring more technical training and expertise of employees sitting behind the wheel of the vehicles, according to a 70-page safety report the company released Friday. The report comes after the ride-hailing company shut down autonomous vehicle testing to do an internal review of its safety procedures, as well as an outside review by risk management firm LeClairRyan. 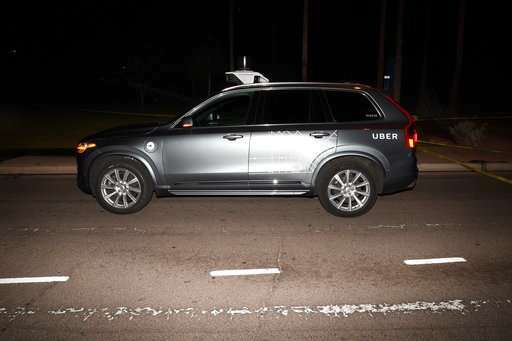 Although the report covered all the main bases, Uber should have gone even further given its self-driving car killed Herzberg, said Bryant Walker Smith, an assistant law professor at the University of South Carolina who has been studying the issues affecting autonomous vehicles. In its most glaring omission, Uber didn't accept responsibility for Herzberg's death—the first involving a fully autonomous vehicle, he said. "Frankly, I'm looking for more from Uber than from other companies, and I suspect that governments may be as well," Walker Smith said. Under Pennsylvania's voluntary autonomous guidelines, the Transportation Department has until Nov. 13 to approve or deny Uber's application, or to ask further questions. Pennsylvania law at present doesn't allow testing of autonomous vehicles without human backup drivers. Google's Waymo already is carrying passengers in the Phoenix area without human drivers, and General Motors' Cruise Automation expects to do that next year. Pittsburgh officials can't legally prevent testing, but they are in safety talks with Uber and four other entities that have permits to test autonomous vehicles, said Karina Ricks, the city's director of the Department of Mobility and Infrastructure. For instance, the city wants to limit self-driving vehicle speeds to 25 miles per hour in urban settings, even if the posted speed is higher. "Lower rates of speed give more time for the vehicle and the safety driver to react and prevent a crash," said Ricks, who characterized the talks as fruitful. Pittsburgh is home to Uber's autonomous vehicle development center, making it a logical choice for the resumption of robotic car tests. "We are engaging with the city, with the officials, and are very eager, I think, to ensure that we make a return to the road in self-driving mode in consultation and close partnership with them," said Miriam Chaum, head of public policy for Uber's self-driving vehicles. Later it will discuss bringing its self-driving cars back to Arizona, California and Toronto, Ontario, its other test sites. Arizona suspended the company's permission to test after the crash. Uber gives up autonomous vehicle testing rights in Calif.